There is something magical about the smell, taste and texture of freshly made bread. 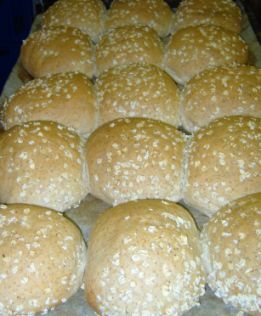 Fresh bread and rolls are baked daily at the Bramley Village Bakery from the highest quality ingredients. No preservatives are used in our traditional recipes. 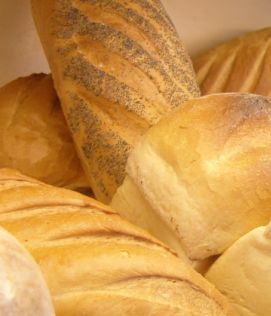 The full range of soft and crusty breads are available. 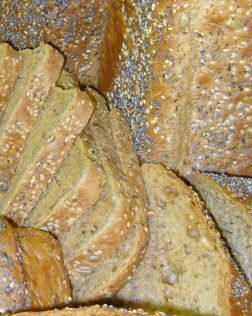 Not only White, Harvester and wholemeal loaves, but we are very conscious of the healthy eating market and specialise in baking GI bread. For those looking for more exotic flavours, ciabatta, herb and onion bread, sun dried tomato bread, cheese bread, and focaccia are always available on the bakery shelves.